The National Association of Realtors states that about 30% of home buyers desire a larger home while a Trulia survey found that 43% of adults prefer living in a larger residence compared to their current home. The desire to upsize is greatest among adults 36-50 years old who are in their peak earning years, are married or in a serious relationship and have children under 18 years old. But the desire to own a larger home looms inside most of us. So if you’re thinking of moving to a larger home, here are 7 things to consider. Of course, it will! There’s more room, more square footage, maybe a bigger yard. All of that adds up to a bigger investment. Also, the taxes will probably be higher. Most counties base property taxes on the value of the home. Utilities may also go up. You have more rooms, more lights, more TV’s, maybe more electronic devices or smart appliances. All of those generate more electricity. If you increased the yard, you may be watering more. So don’t forget to include all the extra costs to owning a larger home. 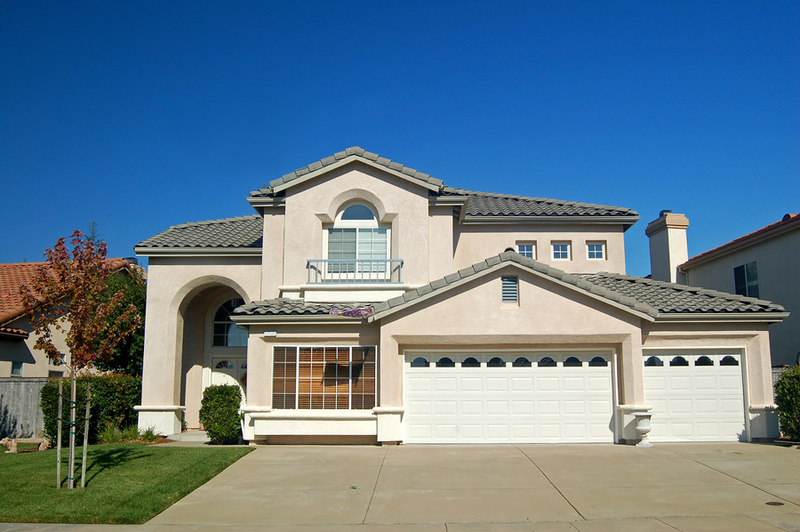 Buying a larger home is usually not the last home buying experience you will have. So look at the new home and consider what would need to be upgraded to resell in 5 or 10 years. Will it need a new roof or replace the HVAC? Also consider where it’s located. Will development or lack of development in the future affect the resell value of the home? Consider what may be more maintenance: the yard, the roof, the siding, etc. More house will mean more maintenance. Consider how much more work you are willing to commit to for the larger home. 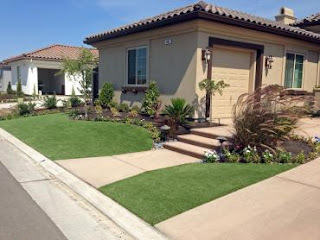 If your yard is larger, do you have the time to work on it or can you afford to hire someone to maintain the yard. Do you need a large play room for the kids? Do you want it close to the kitchen where the family gathers? How many bedrooms do you need now and how many bedrooms will you need if your family grows? If you plan on staying in the house for many years, will it still meet your needs when the kids are teenagers? Don’t forget the yard. Can my kids play safely by themselves in the yard? Along with that, you need to consider do I even want a yard. If you don’t have time for upkeep on a yard, you may want to consider if there’s a playground nearby. Many home buyers believe the appraisal and home inspection are the same thing. They’re not. The appraisal is for the entity loaning you the mortgage. It’s a good idea to have your purchase agreement contingent on a satisfactory home inspection. The person conducting the home inspection should have a background in home construction. It’s best to ask around and get one that comes highly recommended from other home buyers. Visit the neighborhood during peak commuting times to see what the traffic is like. Also visit in the evening or at night to see if it’s noisy or quiet or a ghost town. Some people like the hustle and bustle of neighbors out talking to each other. Others want a quieter neighborhood. Look at the nearby businesses. Will you patronize them? Are there a lot of businesses open late at night? Are there parks close by? Also, research schools in the neighborhood. Do you need a preschool or day care? Is there one close by that has good ratings? Do the schools provide buses if it’s too far for your children to walk? Or do you need to drive them to and from school? Or can you walk them? If so, are there any streets with heavy traffic that need to be crossed? You will be making hundreds of trips to the school in a year so make sure it’s not a strain on you or your children. First, get pre-approval for a mortgage loan. This will give you a sense of how much you can afford to spend on a larger home. It also shows the seller that you are serious which is important if you are bidding against other buyers. You don’t want two mortgages (unless you just inherited millions) so sell your home first and apply the equity from that home to a down payment on the new home. Doing this can help you avoid higher-cost financing. Be willing to tighten your belt if needed. Since owning a larger home can cost more, you may experience some budget crunching. 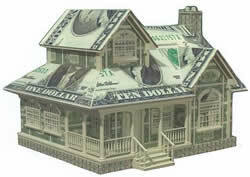 Be willing to adjust your budget until you feel financially comfortable with the higher costs of your new home. Consider saving at least 1% of your new home’s value for future emergencies or maintenance on the home. This may be hard at first, but work on it so that by the end of the first year you have at least 1% or close to it saved up. Moving to a larger home can be a challenge but it can also be a joy. It depends on how prepared you are for the process. So prepare yourself and find that new home for you and your family. If you’re looking in the San Diego market for a new home, contact me. I will provide personal one-on-one service for the whole process of buying or selling. 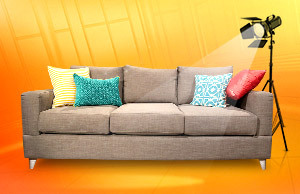 Staging your home provides many positive aspects to the selling process. First, staging before the photographer shows up provides excellent pictures for the listing. Second, it provides a positive experience for the buyer and the agent. Third, staged homes sell faster and many times a buyer may increase the offer if the home is staged correctly. Staging your home to sell doesn’t need to cost a lot. Most of the staging involves elbow grease and rearranging. This isn’t just dusting, vacuuming, and wiping off counters. This is really cleaning. Wiping the walls and doors; cleaning the tubs and sinks; cleaning the inside and outside of appliances, especially the ones that are staying in the home; cleaning the fireplace; cleaning the windows and so on. If you don’t want to do the cleaning yourself, spend a few hundred dollars and get a professional team to do it. If the home isn’t clean or it has unpleasant smells, buyers will be turned off and will walk away. Decluttering is just as important. Buyers shouldn’t be distracted by stuff laying around or sitting on counters and tables. The buyer wants to see the basic bones of the home, not the stuff in it. This includes closets. Neatly organize the closets. This is a good time to clean out your clothes and shoes and donate them to charity. Packing away some of your personal items and pictures is one of the simplest things you can do to sell your home. Depersonalizing the home allows the buyer to see themselves in the home by visualizing their personal items in the home. This can be difficult since we are attached to our stuff but if you want to sell quickly and easily, pack it away. 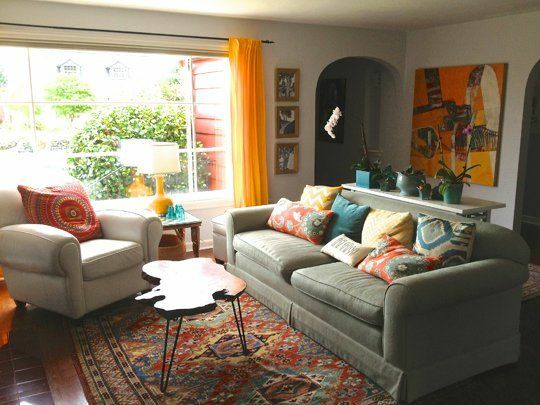 In addition, depersonalizing the home before the photographer arrives keeps your personal items from being in the pictures when posted on the MLS. You and your family will be safer with less personal pictures on the internet. Cleaning, decluttering and removing personal items are all important but you need to strike a balance so your home still has that lived in look. You don’t want to make it too sparse. Things like a vase of flowers, a book on a table, or a basket of fruit on the counter will give it that lived in look without being cluttered or too personal. Stage the home so it’s obvious to the buyer what each room is used for. A bedroom should be a bedroom not an extra storage room. The family room should not have bikes, boxes, or miscellaneous stuff crammed in it. Touring builders’ models can provide a great picture of how a room should be staged. Builders are experts at staging their products for prospective buyers. Open the blinds or drapes and let the sunshine in! Light and airy rooms are more appealing than dark cramp spaces so lighten up as much as you can. This is absolutely necessary when the photographer shows up. Natural light helps to give the room that light and airy feeling. This can also expose any flaws in the room, so look around carefully and see if you can minimize any flaws you see. Curb appeal is just as important at cleaning and decluttering. This is the first impression buyers have of your home. Many buyers drive by before deciding if they want to tour the inside. If they don’t like what they see, they move on to another home. Weed, mow the lawn, clean up clutter and debris and make sure the house number is easily visible. Don’t forget the small details. 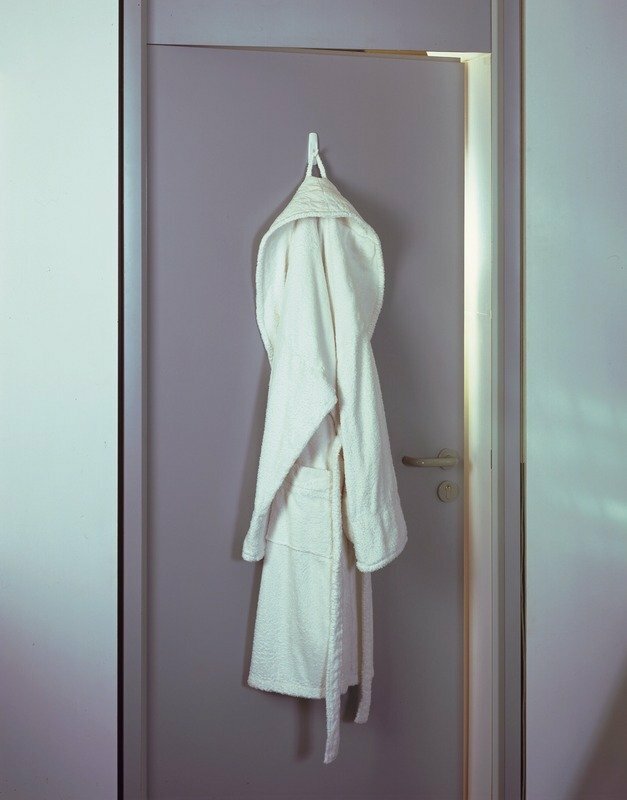 Do you have a robe hanging on the back of the bathroom door? Is it a nice fluffy one or is a little shabby looking? Look around the bathroom and try to see it through the eyes of a buyer. 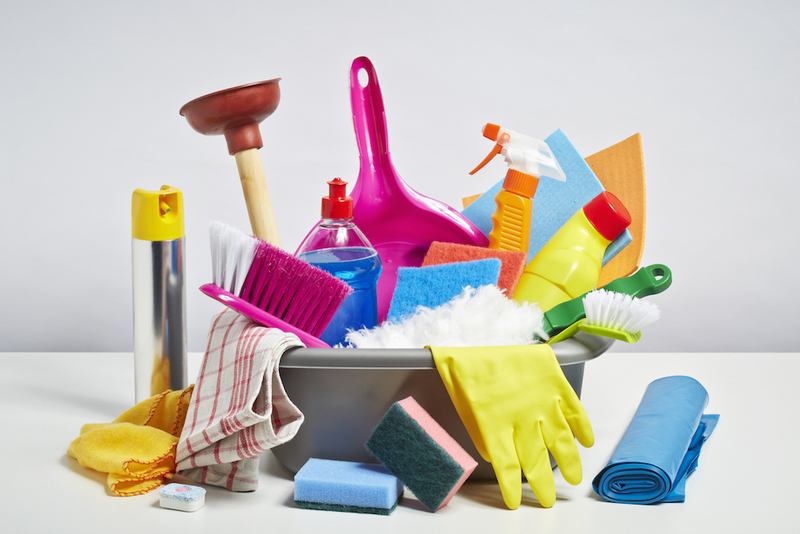 Do you still have too much stuff on the counter or around the tub/shower? Is the stuff clean? Look at places where you have electronics. Are the cords/wires hanging out all over the place? 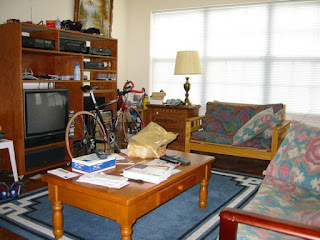 Try to visualize the room as a photographer and see if there are things laying around that may show up the pictures. Do you have a pair of slippers sitting next to your bed? Should they be in the picture? Walk around both the inside and outside of your home and try to see it through the eyes of a buyer or the photographer. Do you see small things that can easily be fixed or moved? The goal is to have the buyer view your home as their future home. Staging your home to sell will achieve this goal. 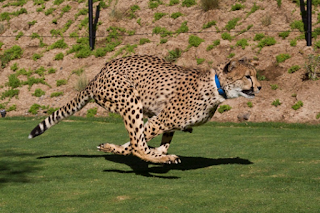 The San Diego Zoo, located in Balboa Park near downtown San Diego, houses more than 3,500 rare and endangered animals as well as more than 700,00 exotic plants. The San Diego Zoo Safari Park, located in San Diego’s north county near Escondido, California, is an expansive wildlife park with over 3,000 animals. SeaWorld San Diego, located in the Mission Bay area north of downtown San Diego, is a marine life park offering marine life shows, rides and habitats. 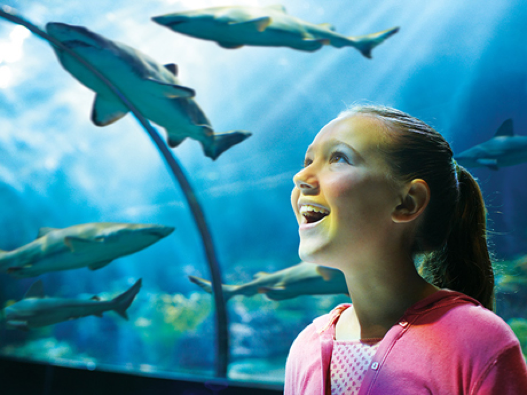 Watch the hilarious antics of the sea lion show, ride the exciting Manta roller coaster or observe penguins in their chilly habitat. 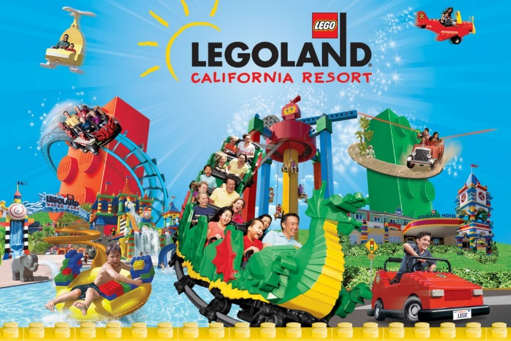 Legoland California, based on the Lego toy brand, is a theme park, miniature park and aquarium located in Carlsbad, California, north of San Diego. Legoland California also has a hotel and water park as well as rides and Lego exhibits such as Star Wars and Ninjago World. 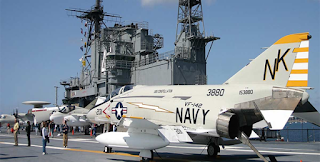 The USS Midway Museum is a maritime museum housed on the aircraft carrier USS Midway located in downtown San Diego. The museum includes 60 exhibits, 29 restored aircraft on the flight deck, a self-guided tour narrated by USS Midway sailors, and flight simulators. Guests can also visit the 90 seat theater showing a multimedia movie, including holographic scenes, about the Battle of Midway. The San Diego Padres, a professional baseball franchise, were established in 1969. 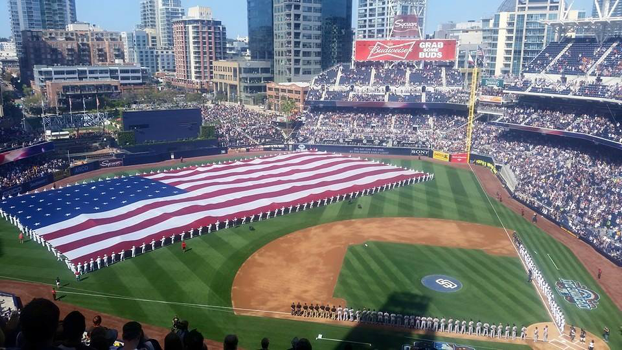 The team, a member of the National League West Division, plays at Petco Park located in downtown San Diego.